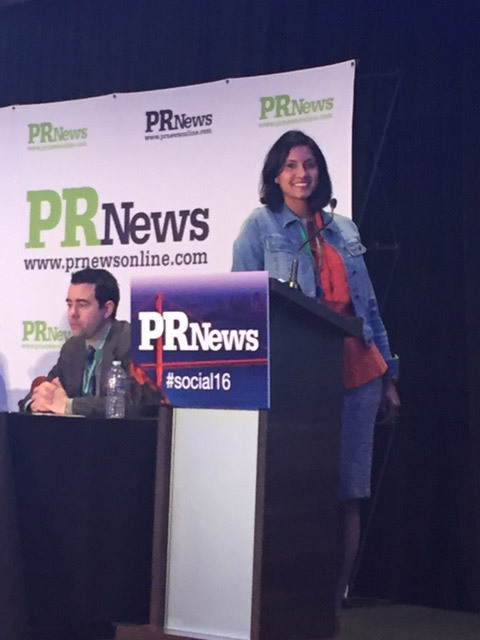 PR News hosted a Visual Storytelling Boot Camp and Big 4 Social Media Summit in San Francisco, CA August 9th and 10th 2016. The core focus of the conference was to learn about the latest features and opportunities offered by Facebook, Instagram, Twitter and Snapchat (the Big 4). Attending both the boot camp and summit allows one to get a more holistic view on social media – not just what to do on the big 4 social media channels but HOW to communicate on them. Before you jump straight into tactics and technology (i.e. which social channel(s) to focus on), you need to stop and really listen. What is your audience saying? What are they reacting to? What do they want to hear from you? Assuming and knowing are two very different things. Social listening is a great way to determine who your true brand advocate is so that you can tailor content that will result in the greatest engagement. While sponsored geofilters can be in the hundreds of thousands range, there are affordable alternatives. Community area geofilters are free (if you don’t include a company logo) and some geofences can be as low as $100. Instagram just recently (August 2, 2016) launched Instagram Stories to combat Snapchat’s growing social presence. Snapchat will need to evolve if it wants to stay competitive with the Facebook and Instagrams of the world. Even though, the social media team here at Zion & Zion already stays on top of the latest social media features and trends, the conference still provided additional insight and food for thought. But never forget that while it’s always fun to try new and exciting things, you need to make sure you have a strategic reason for why you try what you try.